I have not made donuts for years, but after getting lunch at Tim Horton’s, I was inspired to make them again. My husband likes “chewy” donuts. These ones fit the bill. 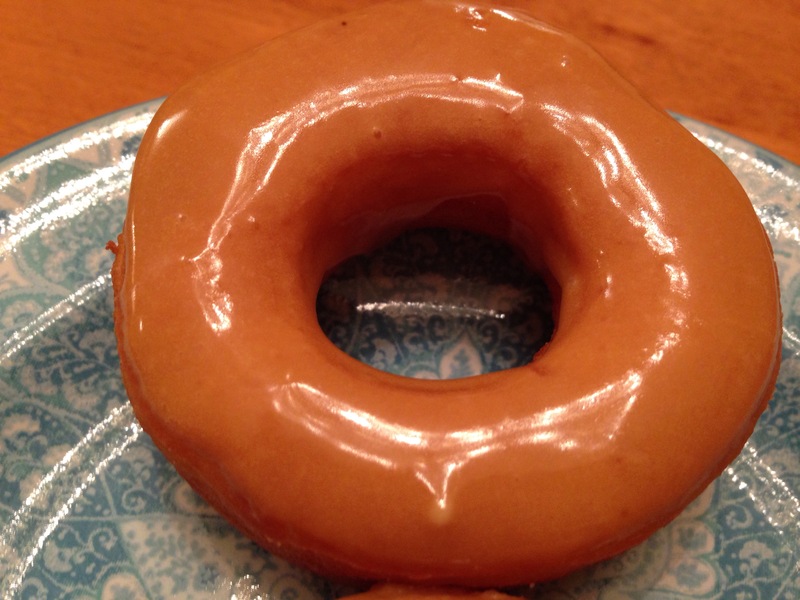 I prefer cake donuts to yeast donuts, but neither are hard to make. Below is the yeast version. If I treat myself to cake donuts I will blog about that later. Stir together the milk, butter, sugar and egg. Add the yeast and salt to one cup of the flour. Stir the yeast/flour mixture into the wet ingredients. Stir in more flour, then knead in the rest of the flour using a dough hook or your hands when it is too hard to stir. Knead for 5 minutes or so, cover and let double in size. Depending on the temperature, that can take 45-60 minutes. 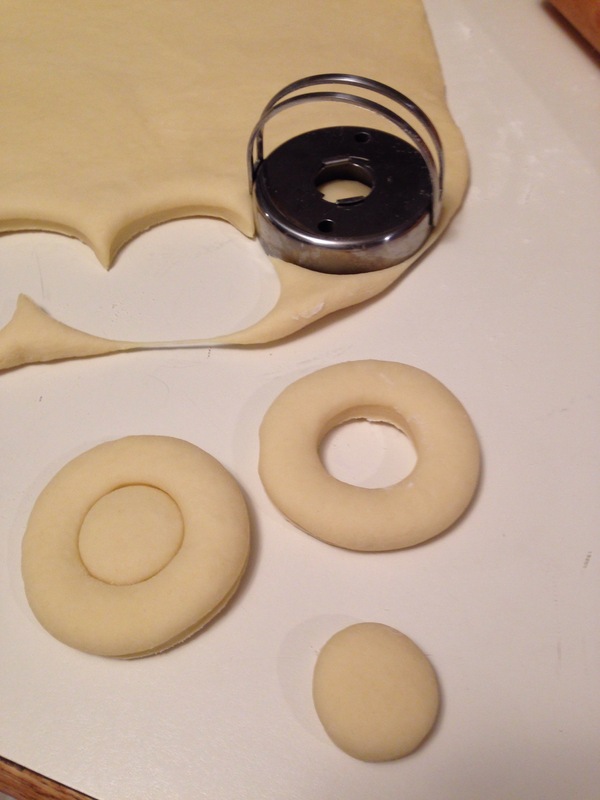 Roll the dough out a couple centimetres thick and cut with a donut cutter. Cover and let rise again. Heat 4 cm of oil in a wide pot until a piece of dough dropped in begins to sizzle. Not hot enough it will just sit in the oil, too hot it will burn in no time. Aim for 350-360 degrees F. Fry a ball to see if it is the right temperature. It should sizzle and turn golden in a minute or less. Flip and repeat on the other side. Remove to drain on paper towels. 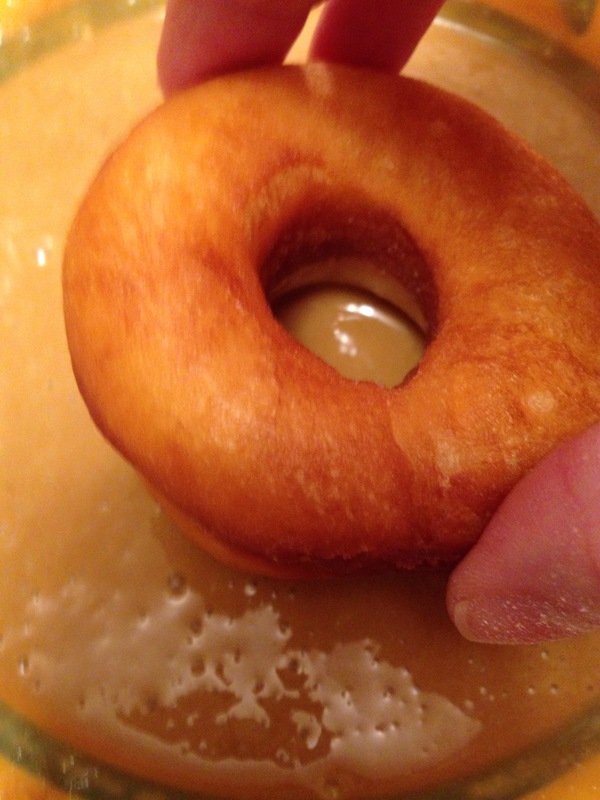 I like to roll the balls in sugar and cinnamon while they are still hot, but for the donuts, cool them completely and then dip in a coffee glaze. Recipes for both are below. 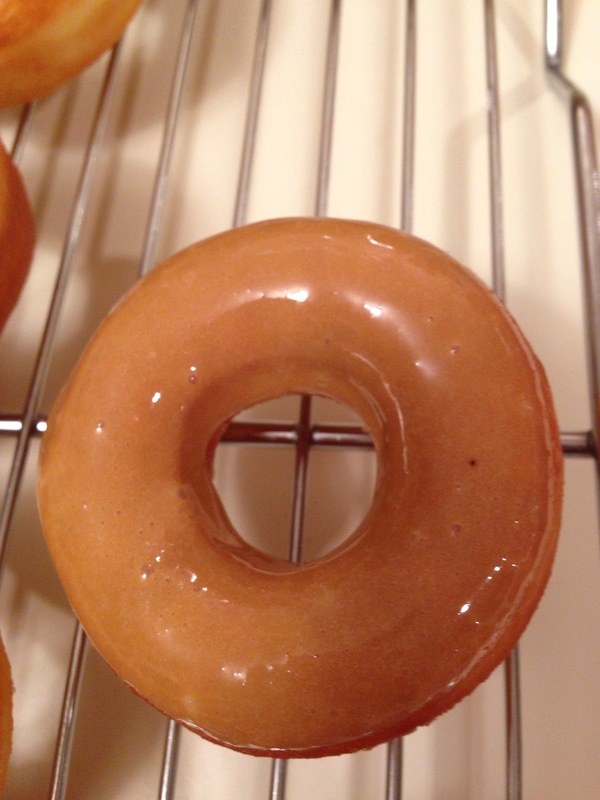 Stir together until smooth and dip the donuts in the glaze. Let dry on a cooling rack.